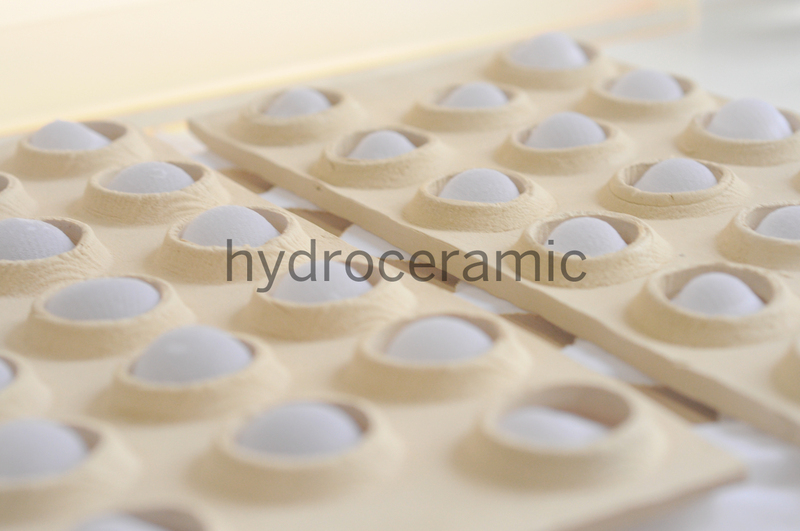 hydroceramic is benefited from the evaporation property of the hydrogels. 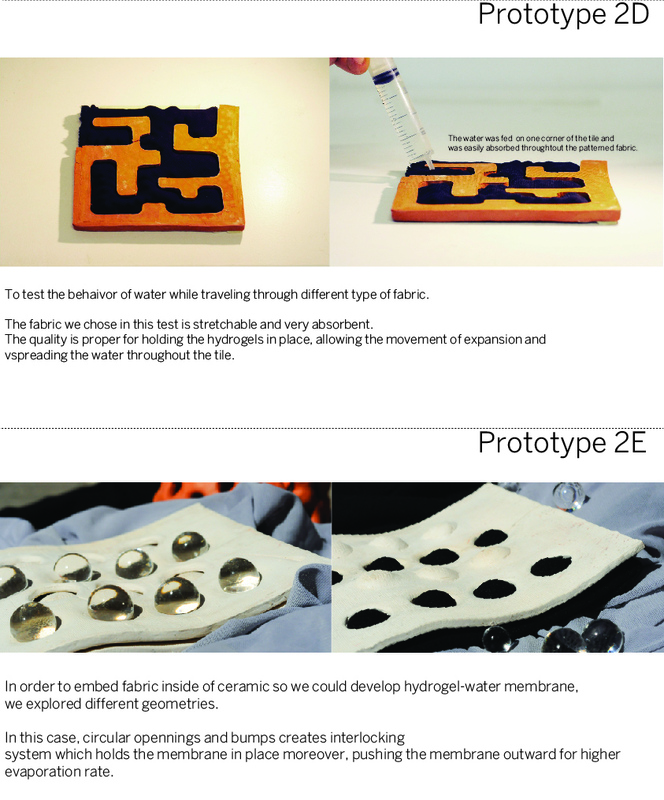 we created a composite material which is responsive to heat and water. 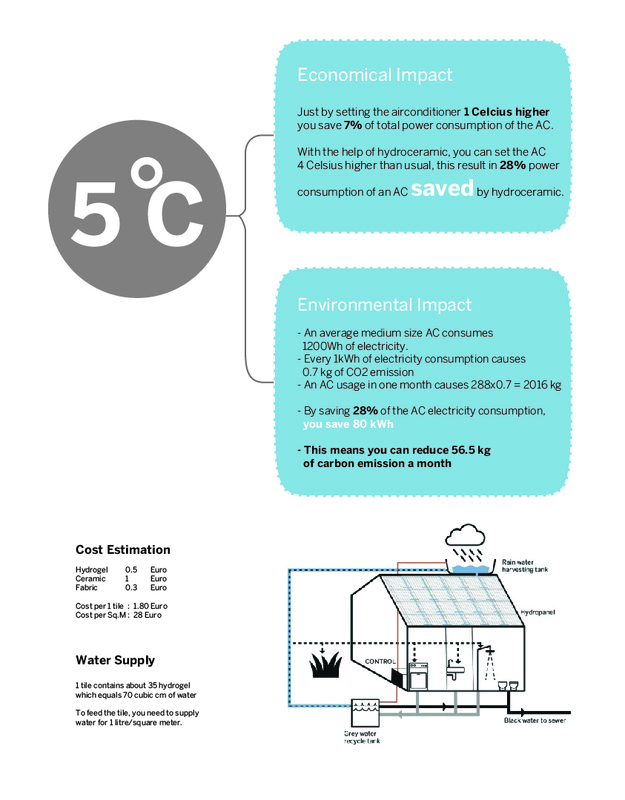 The material has the ability to lower the temperature of the interior when actuated. 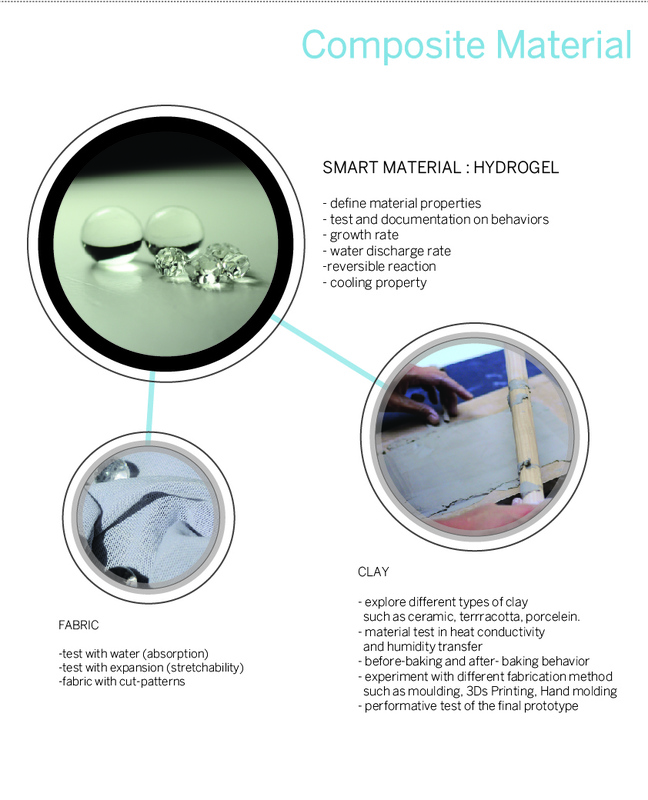 The project are divided into 3 phases, The smart material : Hydrogel, The supportive material : Fabric as water channel, and the ceramic. 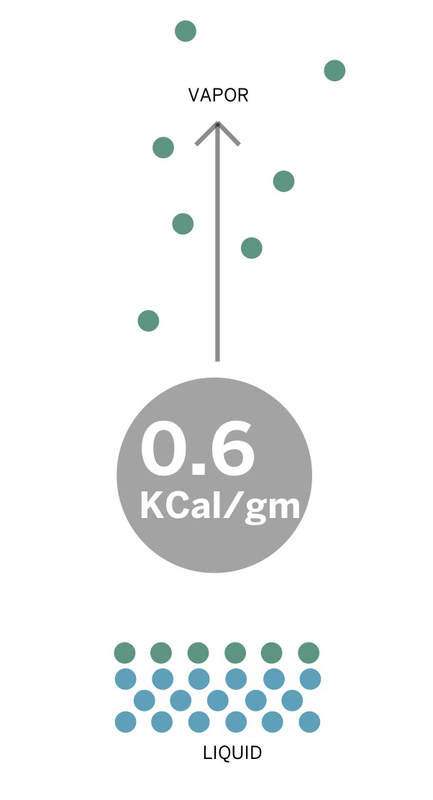 From this evaporation diagram, We can see that the heat of vaporization of water is about 0.6 kilocalories per gram, that is how the a cooling effect occurs. 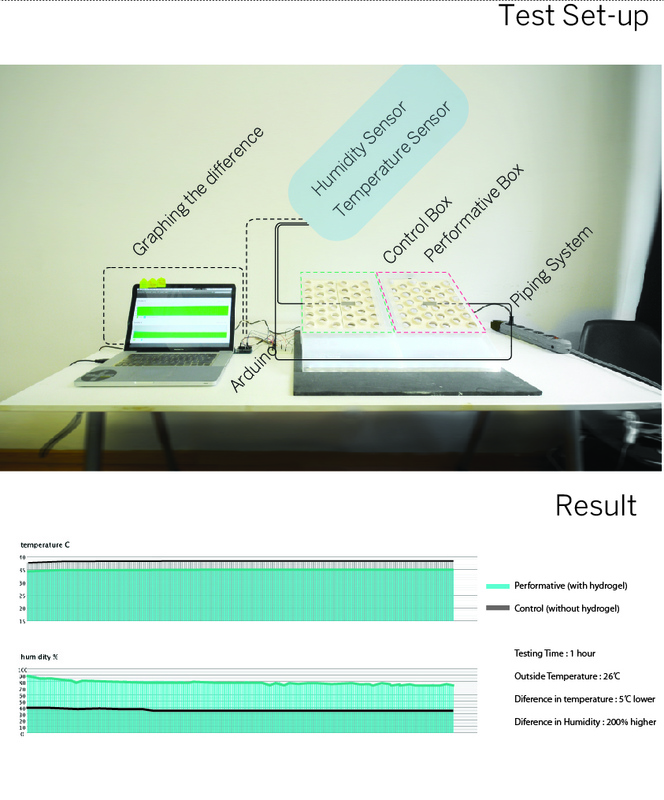 Taking this phenomenon as a hypothesis, we set up a test to observe the cooling performance of this smart material in composition with other selected materials i.e. Plastic, Aluminum, Clay in order to find the most suitable supportive material. The project objectives has been answered in the research area. 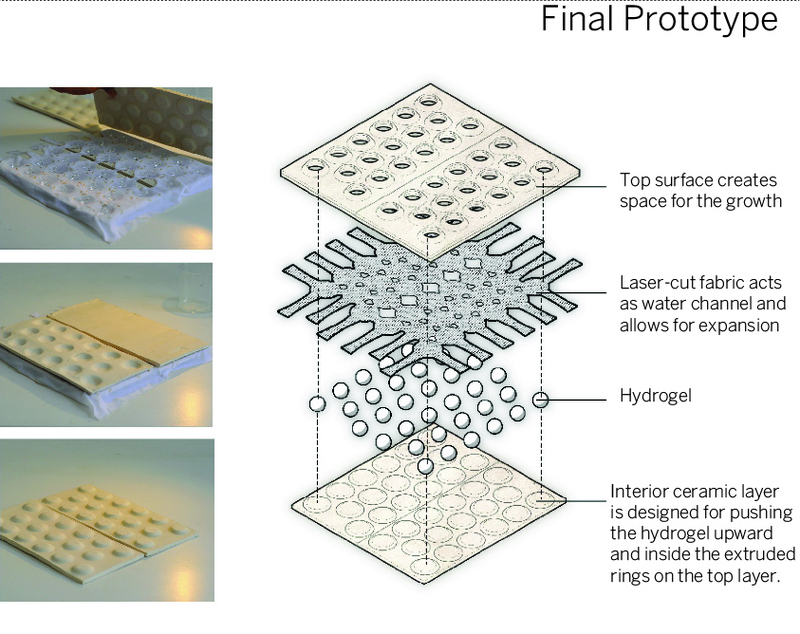 And as far as necessary, with limited time and technology, we have achieved a promising test result which could lead to several further researches and profitable projects. Having in mind that the composite material has very low cost production and the clay natural resources is still abundant, the system can easily be applied to architecture in remote area. 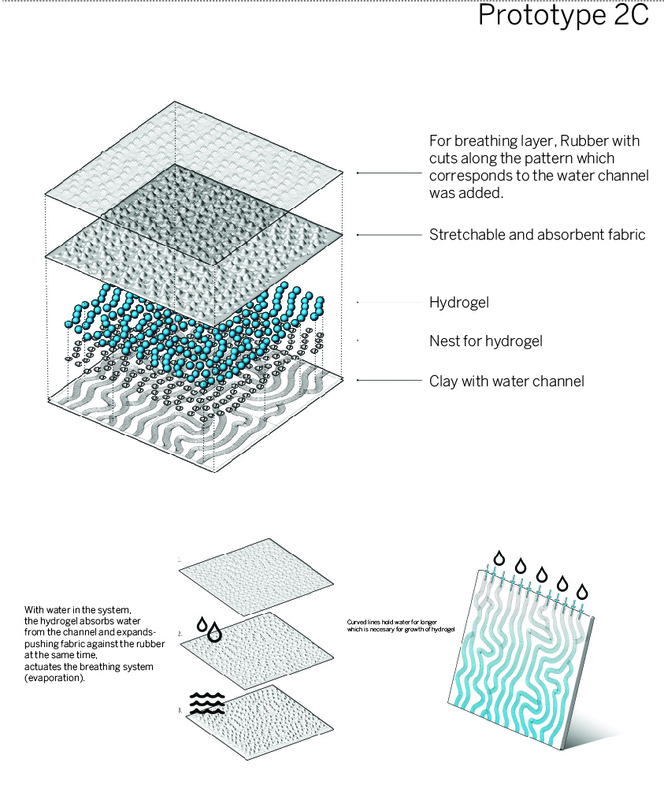 With the help of accurate energy and thermal analysis of todays’ technology, hydroceramic’s passive system can effectively keeps the balance of the humidity and temperature inside the human comfort-zone.